UAE’s Ministry of Finance (MoF) held an interactive session on its artificial intelligence initiatives alongside its participation in Gitex Technology Week 2018 concluding today (October 18) in Dubai, UAE. 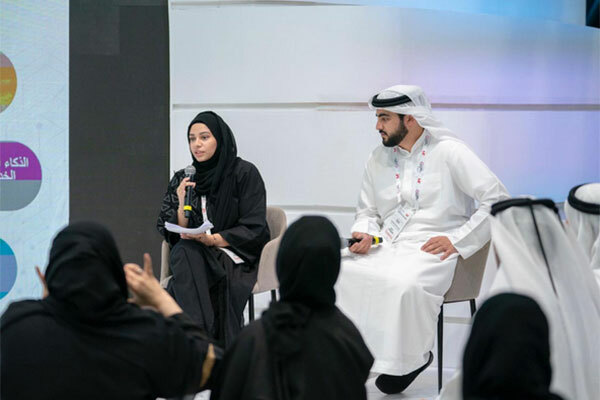 Shamma Youssef, chairperson of the Emirates Youth Council at MoF, led the session with the participation of Ahmed Bin Fahad, who is responsible for the follow-ups and supervision of digital transformation projects in the Ministry and is also a member of the Youth Council. The session hosted representatives of the Emirates Youth Council, Youth Council members in other government entities, strategic partners of the Ministry as well as GITEX visitors. Mariam Al Amiri, Assistant Undersecretary for the Management of Financial Resources, stressed the ministry’s commitment to innovate in its various operations in order to increase the use of modern technologies in government financial services. Al Amiri said: "The ministry is keen to reflect our wise leadership’s directives by adopting an innovative approach across all its operations, turning it into a centre of excellence and an international reference for innovative best practices in government financial work." During the session, a discussion on the government's efforts to improve Artificial Intelligence was held, where a Minister of State for Artificial Intelligence was appointed and the Emirates Artificial Intelligence Strategy was launched. That, in addition to incorporating the benefits of this technology to services and data analysis that would accelerate the completion of tasks, create an innovative work environment, and increase productivity, all of which fall in line with achieving the UAE Centennial 2071 objectives. The interactive session also included a discussion of the challenges facing the ministry in the data management and analysis process and the proposed solutions to overcome including the Ministry's own efforts to implement a unified database in order to provide accurate data to support the decision-making process. The session then dealt with a list of the most important jobs that will come in light of such technological advancements including those relating to artificial intelligence.